Superenduro celebrates its tenth anniversary with a calendar of races that is a bit special: four rounds between April and September and two major comebacks at the opening and closing of the 2018 season, which is going to offer a journey throughout the history of the Series, its way of discovering and thriving with venues and riders. In the last few years we have always tried to give the calendar a meaning as a whole; by distributing the events homogeneously throughout the country and by choosing venues with their own character and unique flavour, able – at the same time and all together – to describe a journey into the enduro discipline and across our beautiful Italy. For the 2018 season, again, deciding factors have been trails and riding quality, essential to raise the ‘fun’ bar to the top. However, in order to properly celebrate the tenth anniversary of the Series, we needed something special, a trick move, something recognizable and easy to associate with the history of the Series, and capable of evoking lots of emotions even before jumping on the bike and starting racing. 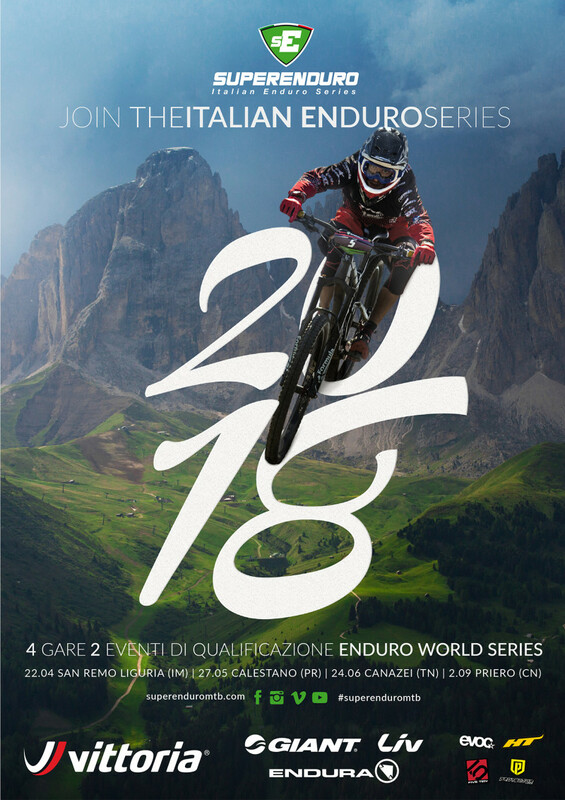 Superenduro 2018 season will kick off in Sanremo on the 22nd of April, tackling the same trails in San Romolo woods, that in 2008 inaugurated this Series’ adventure. A lot has changed since then, but certainly not the essence of the trails: in full Ligurian style, they are still physical and able to offer a good dose of technicality. Not to mention the organising efforts of Sanremo Bike Resort‘s crew that will guarantee quality and full knowledge of the enduro dynamics. After Canazei, a July packed with important events: not least, the first of the two Italian EWS rounds (21-22 July, La Thuile; 29-30 September, Finale Ligure) which we are sure many of the top Italian riders will not want to miss. And – why not? – time to pop round Eurobike for many companies and riders. After the summer break of August, Superenduro will wrap up this edition of the Series with a big party during the weekend of the 2nd of September in Priero, another famed venue that has been absent from the calendar for many years. Over there, the enduro discipline, by motorbike at first and then with push bikes, is so familiar that ‘bike racing’ intrinsically means ‘enduro racing’. Cradle of the discipline, since 2007 Priero has organized an enduro race every year, without skipping an edition ever: this says a lot about the atmosphere pervading this place, pure passion.